MacGyver and Pete are helping a local high school address the problem of dropouts. They pay particular attention to Tony, an intelligent youth who is pressured by his father to drop out of school and work at a construction site. Tony discovers that the site is not safe after witnessing a fraudulent cover-up by the foreman, and he and MacGyver arrive at the site just in time to save his father who is trapped under some stone after an earthquake. Sometimes things are hidden under the surface. You just gotta know how to bring 'em out. I like the nighttime scene at the site where MacGyver steals the burnt document but of course makes noise, so Tony distracts the guard by pretending to search for his wallet. George Fraley's character is a bit of a downer. Reconstructs burnt paper using glycerol, infrared camera, and a bright light. I like this one - let's add it to the list. We open with a fun and somewhat ridiculous scene where MacGyver is guest lecturing a high school Physics class. He challenges a big football player to a pushing contest, and MacGyver goes low and flips the player on his back. Then he coolly segues into talking about Archimedes and the lever. Somehow the football player is not upset at all about getting flipped on his back by a teacher. According to IMDB, the actor playing the football player actually did play football at Oregon and was a regular on Stargate, also starring RDA. I haven't seen more than a minute of Stargate so I wouldn't have known that. The chalk drawing on the blackboard is incredible. We have seen MacGyver show off his painting skills in an earlier episode. Issue episode alert! Issue episode alert! "Now we make it work here at Dillard, and it could breathe new life into this nation’s entire public school system." Settle down there, Pete. "Just heard from Washington, the Education Department is sending out an observer next week." To observe this groundbreaking, nuanced, cutting-edge program where a student gets...a mentor. Interesting that Jerry Wasserman (who plays Tony's illiterate father) has a PhD in English Literature from Cornell. He gives a very convincing performance as Nick Milani. 12/6 UPDATE - here's a conversation I had with Jerry where he shared some memories about this episode. I’m all for believing in the best in people, but after MacGyver visits Tony in his basement, Tony’s turn from a smart-mouthed troublemaker to a polite model citizen seems a bit too quick. Snap! MacGyver just throwing darts! The guard at the construction site with a flashlight and hard hat - what is he guarding? And he's carrying a gun? Neat how the rescue scene at the end involves a lever and fulcrum, about which MacGyver had been teaching the students in the beginning. Interesting episode here. Like Hell Week, it's school-based and shows MacGyver in a non-typical setting. The first half of the episode is slow and preachy, but the second half gets good once Tony witnesses the cover up. I like how they go back to the site and get the burned paper and then reconstruct it and rescue Tony's father. Tony is a likable kid, and it's a feel-good episode that does its job by making me feel good in the end. Here's another MacGyver episode that polarizes fans. I absolutely love it but can understand why the action-adventure hard-liners weren't amused. 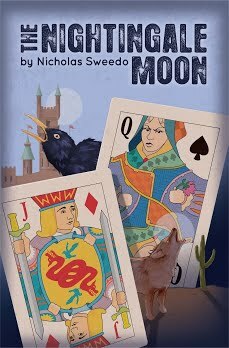 The characters were all interesting, the acting was solid throughout, and the pivot in the story halfway through was unpredictable and fascinating. I'll agree with you though that Tony turned from brat to sweet kid a little too quickly after MacGyver and Fraley visited his parents' place. Still, the revelation of the corrupt foreman at the construction site burning the evidence of code violations was compelling, and MacGyver bringing the burning paper back to life with infrared film easily rates among the top-10 MacGyverisms of all-time. The epilogue was way too sappy sweet (Fraley's excited about teaching again! Just that quickly!) but this episode was another example of how this series could do great work with a lower-budget episode whenever the network started bitching at them for running up too high of production costs. I rank this one #55. 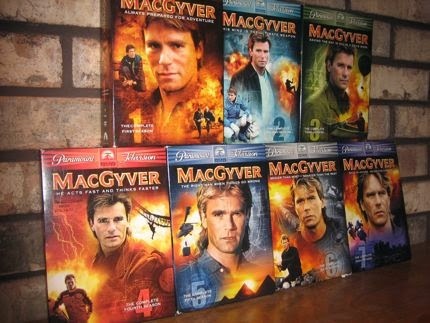 I don't have any concept of what other MacGyver fans think about episodes. Where do you get that info from (i.e. that this episode polarizes fans) - is it from talking to other fans over the years or are there other sites that accurately capture the fan view? I appreciate your sharing your views and I hope others will too on this site - it's really interesting for me to hear how people rate all these episodes. Back in the mid-to-late 90s when I was in college, there was a "MacGyver Homepage Chatroom" that had weekly Wednesday night gatherings where fans compared notes. I quickly learned that my favorite episodes (and least favorite) didn't necessarily jive with others, and it was both fascinating and maddening to hear the thoughts of hundreds of others on the episodes. Beyond that, the website TV.com has a MacGyver page where fans rated episodes on a 1-10 scale. The sample sizes are pretty small (only about 25 people chiming in on some episodes) but you get a decent sense of which episodes were universally loved, which had few fans, and which were polarizing the way that "The Challenge" and "Kill Zone" were, eliciting either strong likes or strong dislikes from fans with little sentiment in between. MacGyver's storytelling range really brought together an audience with diverse tastes and it was intriguing how different styles of episodes worked well with some and not others. "According to IMDB, the actor playing the football player actually did play football at Oregon and was a regular on Stargate, also starring RDA. I haven't seen more than a minute of Stargate so I wouldn't have known that." Among RDA, he was one of the main cast. Dana Elcar's stunt double Don S. Davis was also one of the main cast in Stargate. They even have a gag about Macgyverism in Stargate. Both series were also filmed in Vancouver, which is why almost every planet in Stargate look a lot like British Columbia. You probably should watch more Stargate. SG-1 and Atlantis are absolutely amazing. Also, if legend is true, this Episode is not an unimportant one for stargate-fans. Not only did RDA and Chris Judge meet in this Episode, but apparently it was filmed in a School, that a young Michael Garret Shanks was attending classes - Michael Garret Shanks played Doctor Daniel Jackson, Chris Judge played Teal'C and RDA was Colonel Jack O'Neill in Stargate SG1. "Issue episode alert! Issue episode alert!" "Just heard from Washington, the Education Department is sending out an observer next week." To observe this groundbreaking, nuanced, cutting-edge program where a student gets...a mentor." Christopher Judge is the actor who does the football player character at the beginning of this episode. Best known as TealC in Stargate SG-1. RDA does not remember CJ participation in MacGyver, and he says that CJ gets mad every time someone asks RDA about that episode and he says he has no recollection at all. "minyra r says Christopher Judge is the actor who does the football player character at the beginning of this episode. Best known as TealC in Stargate SG-1. RDA does not remember CJ participation in MacGyver, and he says that CJ gets mad every time someone asks RDA about that episode and he says he has no recollection at all." When I watched this I wondered: If they have the money to pay for a armed night guard and to bribe the inspector, why can't they just build the place to code?